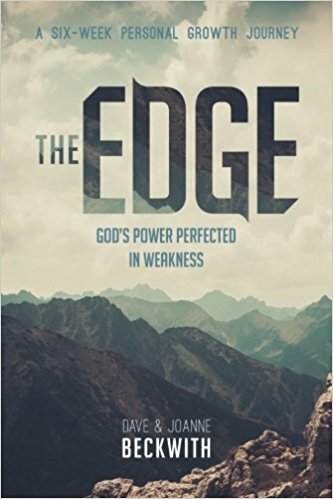 Sharpen your edge in life as you discover why God designed you with built-in weaknesses, and how He perfects His power in your inadequacies, failures, and frailties. Pretending to be strong is a great weakness—humbly acknowledging weakness is a great strength. God promises His power works best in your weakness (2 Cor. 12:9). In this six-week personal growth journey, you will dig into God’s Word to discover how to transform your mind, release resentments and regrets, and deepen relationships through an understanding of strengths and weaknesses. Daily “Time Outs” are included for your personal time with God, and the “Strength Team” curriculum included provides what you need for a successful six-week small group. Dave and Joanne Beckwith serve with STANDING STONE MINISTRY caring for pastors and their spouses and leading week-long retreats for pastoral couples. Dave also works with church leadership and serves as a lead pastor for churches during transitions. Dave is senior pastor emeritus for Woodbridge Church in Irvine, California, where he served as senior pastor for nearly 20 years. Dave and Joanne are both graduates of Biola University where they met, and Dave did his pastoral training at Talbot Theological Seminary. Dave and Joanne were married in 1969, and they have two married daughters, four grandchildren, and four great grandchildren. They enjoy the outdoors, hiking and riding recumbent bikes around Southern California.